Jeff Loftness practices exclusively in the areas of family law and criminal defense, with a special focus on high-conflict cases. He has represented clients from a wide range of social, cultural, and economic backgrounds, and his assistance has been sought in many complex procedural and jurisdictional issues. He often represents individuals with highly sensitive subject matters, the outcome of which may have an impact on that person's teaching, childcare, or gaming license. Jeff considers professionalism and absolute confidentiality to be critically important with respect to his services. In addition to being an aggressive advocate, Jeff also serves as a family court neutral, providing mediation and arbitration services to parties going through disputes regarding divorce, custody, and parenting time, as well as child support, spousal maintenance, property division, and tax issues, with the objective of helping those individuals to reach a compromised settlement. Jeff has been a longstanding proponent of family court arbitration, which he considers to be a vastly underutilized form of alternative dispute resolution. 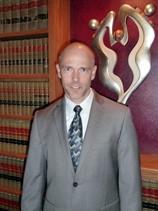 Jeff received his law degree from Hamline University School of Law, and has been in private practice since 1996. While attending Hamline, Jeff served as a writer, published author, and Primary Editor of the Hamline Journal of Public Law and Policy. Jeff is a lecturer for Parents Forever, a parent education course offered in Scott and Carver Counties, in which he discusses and answers questions from parents about the laws pertaining to custody, parenting time, child support, and most importantly, the dynamics of raising children as divorced parents. As someone who was born and raised in Shakopee, Jeff grew up in the Twin Cities area. He has watched the community of Shakopee and the surrounding suburbs grow dramatically over the past few decades. Outside of the office, in his free time, Jeff enjoys camping, grilling, landscaping, wine tasting, and attending local sporting events. In addition to his law practice, Jeff has dedicated some of his free time as a volunteer for the Minnesota Valley Humane Society, where he served on the Board of Directors. He has also spent time as a mentor for high school students who are interested in pursuing a career in the legal profession.